Below the alignment and distribution buttons at the top of the Properties Panel are tools for directly manipulating the location and dimensions of objects on the canvas. You can change the width, height, rotation, and border radius, as well as modify the x and y coordinates. You can always manually type in values, but scrubbable inputs are fun and help speed up your workflow. Place your cursor over the lable next to the input and watch the cursor change. You can also place your cursor over the input field and use alt/option + click as well. If you're cursor needs to go off the screen, no worries, Chrome supports cursor wrap. This works if you're using Figma in a Chrome browser, or if you're using our desktop app. Scrubbable inputs also work when you need to add strokes, change the opacity, or blur effects. A visual indicator pops up on the screen (Scrubbing at 1/2, 1x, 2x, etc). This even works with the cursor wrap technology. When the cursor is wider and you move your mouse left and right, the object moves along the x-axis in smaller increments. You can rotate individual objects, Frames and Groups. There are a couple ways to do this. You'll also see the degree of rotation change in the properties panel. Scrubbable inputs also work for rotating objects. Hover over the rotation icon to the left of the input and drag to rotate. A very common question we hear from users is, "How do I round corners?". 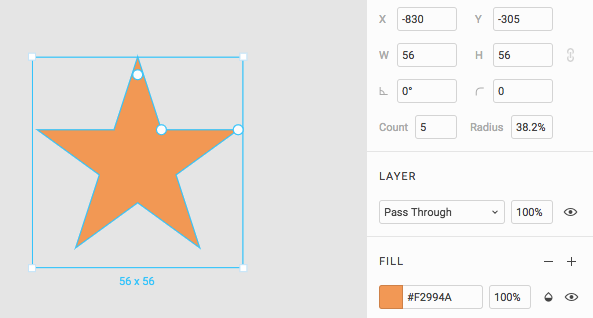 You can use the corner radius feature on rectangles, stars, and polygons. If you mouse over the rectangle, you'll see the [square] corner handles for the bounding box of the shape, and four (4) additional circular handles inside the shape. If you need to round a single corner, hold Alt/Option then drag an individual corner. When you do this, you'll notice a new section in the properties panel. You can manually set each corner radius here. Just like CSS, the order of input boxes starts from the top left and goes clockwise. These inputs are also "scrubbable". Hover over each, hold Alt/Option and use a 2 finger scroll on your trackpad, or scroll your finger across your Magic Mouse. When you drag the rounding handles back towards the outer bounds of the shape and release them, you'll notice a slight “bounce back” effect. This is by design. It ensures the rounding handle doesn’t interfere with the bounding box handles. 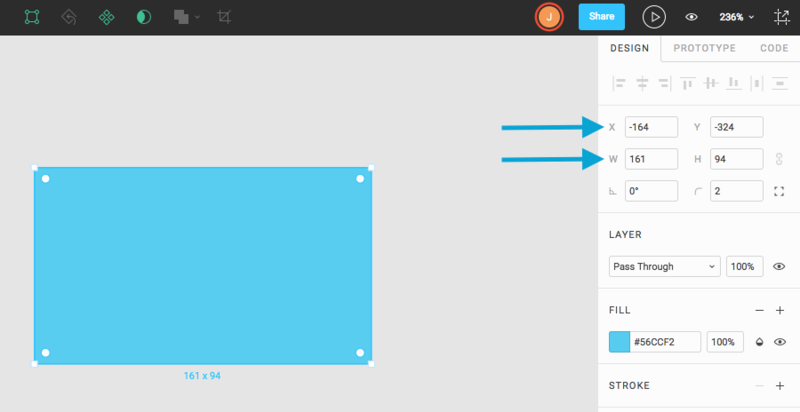 If you make the rectangle too small or zoom out, the corner rounding handles will vanish. "Does the corner radius feature support nudges?" Dragging a corner handle will snap by the Small nudge amount, and holding the Shift key will use whatever Big nudge you have predefined. With a star selected and moused over, you will see three (3) control handles inside the bounding box.